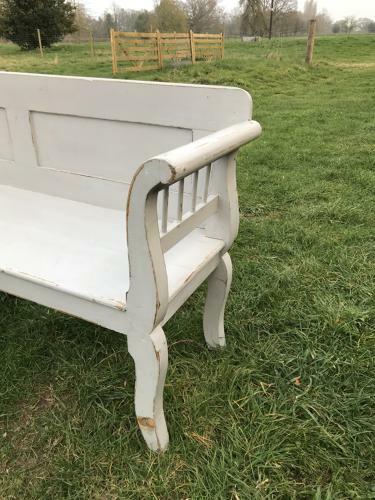 Fine antique Gustavian beck seat with panelled back and galleried and scrolled arms and shaped legs. Good and sturdy. Later painted in white/grey.